Dutch Soda is a seed variety from our ‘Soda Series’. 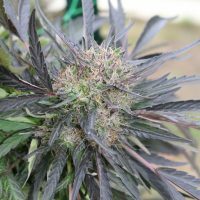 For those that have grown Dutch Treat #5 it is one they are not soon to forget as it is unlike most any other plant on the market. 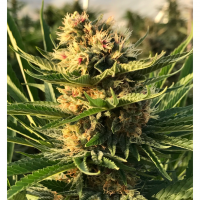 The growth structure is extremely sativa dominant with branches, that no matter where they sit on the plant, will stretch to meet the rest of the branches at the top of the canopy come flowering time. 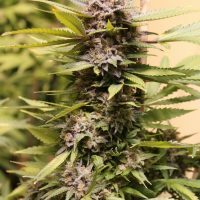 This in itself creates a crazy amount of potential bud sites to increase yeilds. The long internode spacing is a part of the reason this plant gets as tall as people indoors. Dutch Treat #5 is extremely floriferous during the 12 weeks it takes to go full term. It still to this day was able to produce the single largest yielding plants we’ve ever grown. Just like with other long-flowering varieties a longer flowering cycle typically results in a larger yield. Unlike the lackluster true sativas though, this one is so resinous its greasy, and has such a distinct, powerfully potent aroma it couldn’t possibly be anything else. The real problem with Dutch Treat #5 though is that it’s not always easy to take it the full 12-weeks, and shes also just a giant plant when compared to the others she grows alongside, which is exactly why we paired her with our Huckleberry Soda male who sports tons of color, has a much shorter stature, and completely different bud characteristics. Opposites attract here. 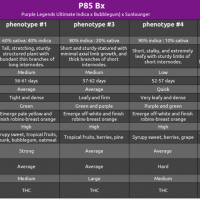 We can not wait to pop these ourselves to see how each parent has complimented the other… Expect crazy color combos, plant sizes, flowering-cycles, and terpene profiles galore. 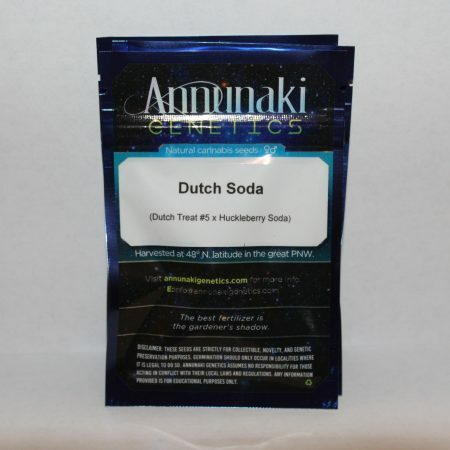 These seeds are not yet tested by Annuanki Genetics. Be one of the first!